Valet parking available on Friday and Saturday nights, and special days. 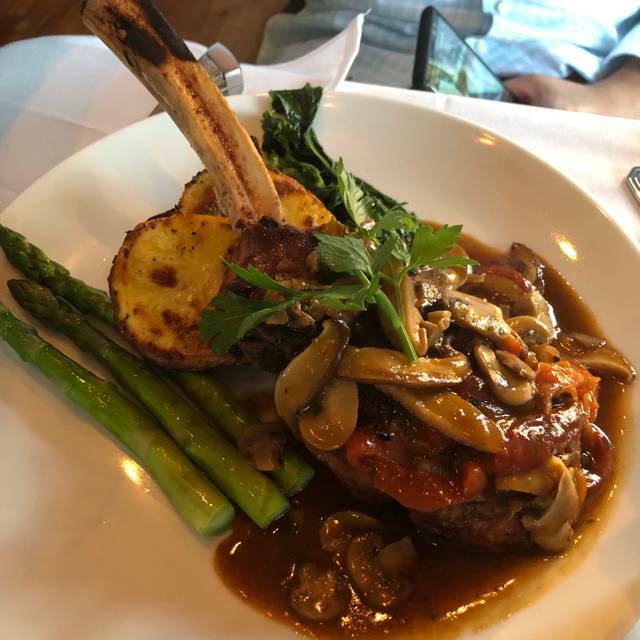 Tartufo Restaurant is an award-winning Italian restaurant featuring authentic Abruzzo cuisine, conveniently located in Newton Centre, MA. 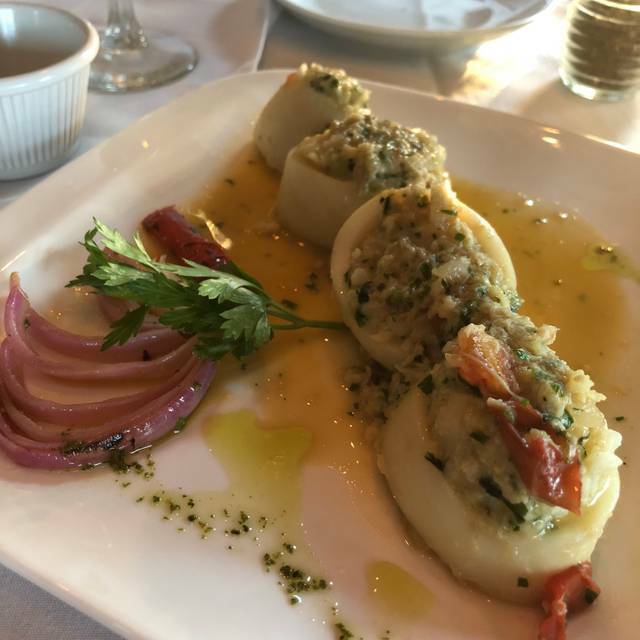 While our menu includes several Italian-American dishes, we also specialize in chef-prepared Italian dishes, homemade to order, with all natural ingredients. Please note that table assignments are made at random. Your party may be assigned in either of our beautiful dining rooms, upstairs or downstairs. For our physically challenged guests please know we do not have an elevator to the second floor but our ground floor is readily accessible. The food and drinks were fine, nothing to write home about, but the noise level was awful. I had been here many years ago, maybe 8 or so, with my elderly parents and 2 of their friends. I returned Sunday night with the only remaining member of that group, 97 years old, and we both immediately remembered how terrible the noise level had been. I don’t think I will return! Everything was fine. But I was expecting to be blown away. Service was fine, but not exceptional. Our party of four had four different entrees and each felt they had chosen the best meal. (I had the scallops, and they were magnificent.) That tells you how good the food was. The wine list is excellent and not over-priced. Dante, owner/chef, sets a wonderful tone. The servers all provide the kind of professional service one finds in European restaurants - gracious, helpful, unobtrusive. What a lovely surprise. We are from out of town and we’re just looking for a nice to eat. It was fantastic and I am still dreaming about that minestrone soup!! Tartufo never disappoints! We had dinner with a friend from out of town. He LOVED it. Everything, from the warm crispy bread to the caesar salad to the meatballs to our entrees was absolutely outstanding! 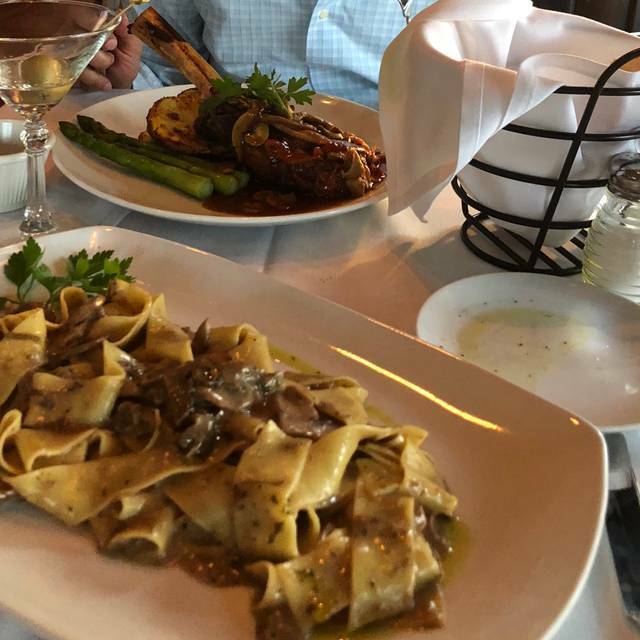 I had veal marsala with linguini, my husband had the branzino with roasted veggies and our friend had the papardelle with scallops. They were all amazing, prepared beautifully and served piping hot. Antonio was our waiter and we enjoyed his company very much. He took such great care of us! I highly recommend this warm sweet wonderful place! We go back again and again and again. It's that good!! Tartufo for the first time, said that he thought it was excellent. Our waiter was very nice and made us feel comfortable. I would have liked the noise level to be a bit lower so that our communication width each other would have been easier. I would not, however, preclude that from returning. Wonderful restaurant with great italian food. Great service too. We were disappointed by how noisy the restaurant was. Also disappointed that they told us the special was served with orichette and instead was served with gnocchi. My wife would not have ordered this dish if we had been told the correct pasta. Also service was slow. We were put upstairs even though it was clear that my wife, who walks with a cane, would have trouble negotiating. The service was spotty at best, more on that later. We ordered appetizers and the salads came out at the exact same time. When I asked that the salads be returned until the apps were completed I was met with a astonished face as if this was the first time a waiter and busboy had heard that request. I was told, "but the salads are ready now". So we all had salads in front of us and we had to balance side apps plates on the side. Dinner was just OK. The sauce in the Fruite de mari was just OK, the shrimp were very small. The chicken Marsala was good. The carbonara was not. Tasted very sharp. We were then asked, after 20 minutes of waiting, if we wanted dessert and coffee to which we responded yes and the waiter said he'd be back with the dessert menu (why didn't he bring them when he came) but he took our coffee order. The menus never arrived. My wife finally asked for the menu after 1/2 hour. The desserts came almost 45 minutes after dinner. We got the check and there was a "service charge" of approximately the same rate as a tip and we only had five people. I crossed that out and asked for a receipt without the "service charge". The only other thing was that the second floor was EXTREMELY noisy. I almost couldn't hear the conversation at our table. Not great. Really enjoy this restaurant. 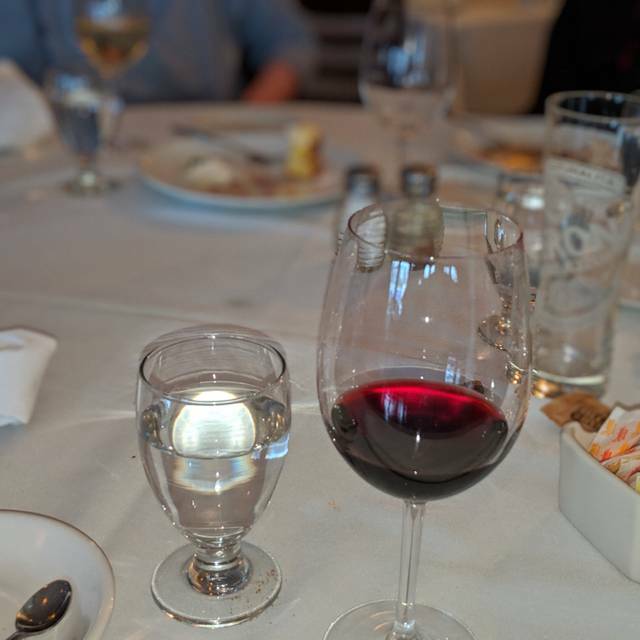 We have sat upstairs the last couple of times we have been there and although the waiter has been great, we've had to ask the busboys/men to refill our water, bring silverware, etc., which takes away from the overall experience. This last visit we ordered a Peach and Apple Cobbler that sounded really good but ended up sending it back because it was more like a bad slice of fruit cake with a mushy fruit mixture inside. Not like a cobbler at all. We got the Tiramisu instead, which was outstanding! We were visiting Boston for the weekend and discovered Tartufo on open table. The food was fair to ok. 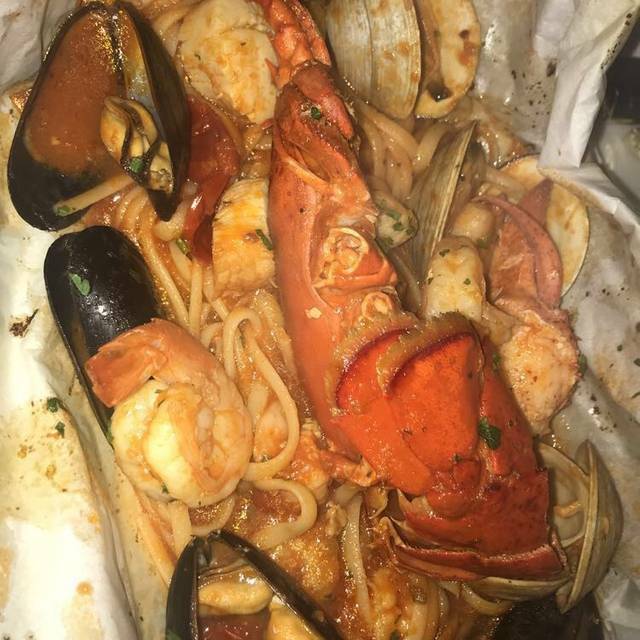 The sauce lacked flavor on the fruita del mare seafood dish as well as on the mussels appetizer. The shrimp appetizer was good but for $16 they gave four shrimp. The portion sizes were quite small so that was also a disappointment. We ordered cannolis for dessert and they were delicious. However the two were mini and could be eaten in two bites. The most positive aspect of the dinner was the attention to detail of the space's designer. At last - noise abating wall treatments! We went early on a Friday night and the place filled up quickly. Amazingly, even at close to capacity, we could still converse in normal tones. Good food, attentive service, broad menu. We will be back. Great restaurant! What a wonderful find, since we both were visiting on business. Wonderful service, delicious food and small, well appointed and comfortable place. We celebrate my son's bday! Delicious food, wonderful service. One of the best places to eat in the Boston area. Our general experience in this restaurant is overall always excellent. Yesterday, we had some small details that didn’t make us happy. We got a bread that was full burned, it was black and also we ordered wine and they took the cups to the back and filled them up out back. Usually that is done on the tables. The two pasta dishes we had were delicious. I chose a wine that I had never heard of, which turned out to be a version of sangiovese. Merolino, I think it was called. Outstanding. The bread was warm and the olive oil that we ate it with was first class. The waiter was also very nice. 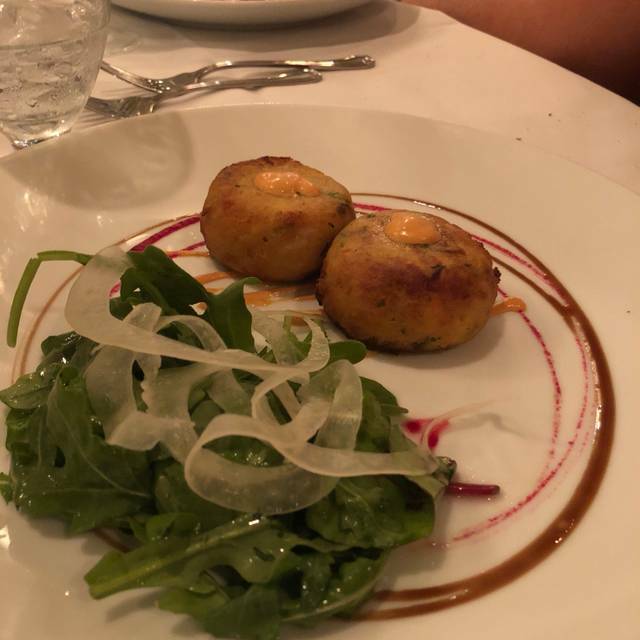 Tartufo is one of our favorite restaurants. My husband and I love the food. The owners and staff are so friendly and attentive. It is a very comfortable atmosphere. Overall a lovely experience. Appetizers were not piping hot, we had the meatballs and the eggplant rolotini, although delicious. Service was great till dinner was served, we then had quite a wait to clear, as well as dessert and check. We were placed right by the door at which there were people smoking outside and every time the door opened you could smell the smoke. Additionally, I tried to use an opentable gift card and they refused to take it. Food was good but other aspects knocked down the rating. A high quality meal to be had here at fairly reasonable prices. We have never had food serves so quickly as at Tartufo. It all felt very rushed and the food was mediocre. The staff were all very nice and very helpful. Would not go back. The food is consistently wonderful as is the service! This place is ideal for date night, work dinners or a relaxing night out. Food is on par with if not as good as the food I had in Italy this past summer--a must go! All servers are welcoming and good at their jobs. I got the arugula salad as an app and the eggplant rollatini for my main and it was a perfect amount of food! Excellent food and service. Fresh pasta and all ingredients. We sat at a hi top near the windows in the bar area and it was perfect. I did not realize how crowded the dining room had become until we left. 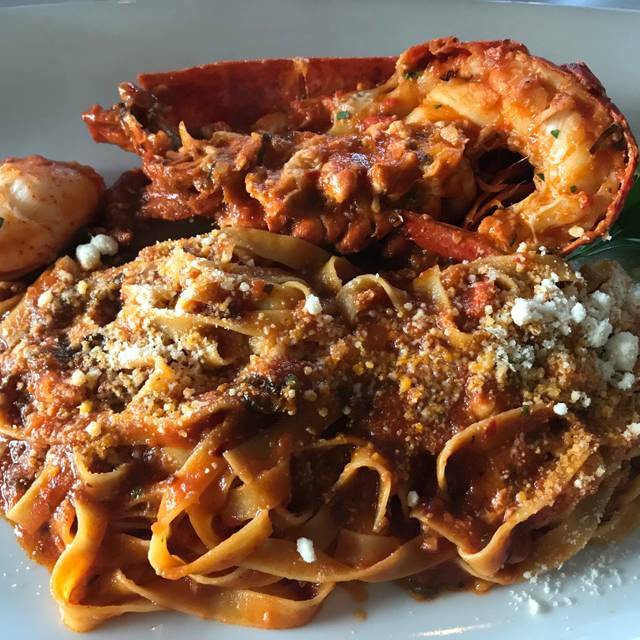 I had angel hair and seafood in a cherry tomato sauce and my daughter had lobster ravioli. Love love love it. Best food around for Italian for sure!!!! 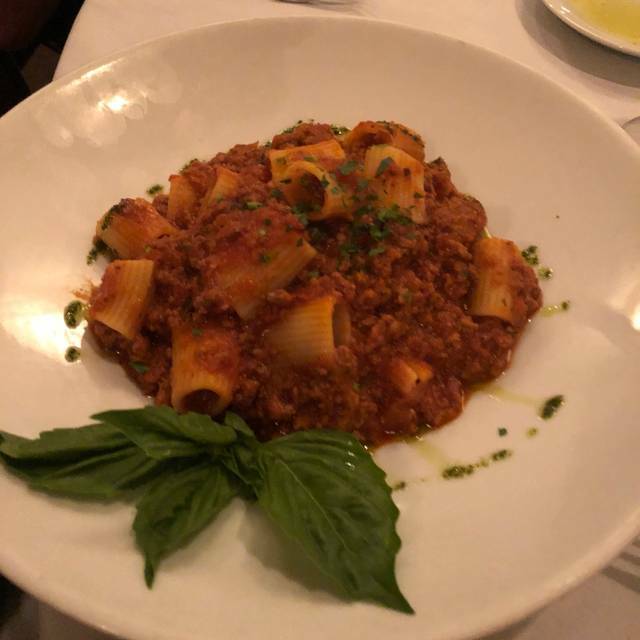 We have been to Tartufo many times and never been disappointed. Every meal has been delicious. Also we have found the waiters to be thoughtful, attentive, and friendly. The rooms have a pleasant old world ambience and comfortable chairs. It is a pleasure to spend time there. Amazing evening - They sang happy bday in Italian to my husband and brought out canoli’s with tiramisu that was beyond words - Definitely coming back and becoming regulars here. The food - exceptional!!!! Must try their meatballs and beef carpaccio and their gnocchi and lobster ravioli... I could go on and on - this place is a gem!!! Authentic and delicious food, great service, and beautiful atmosphere. We had to make reservations ahead for Valentine’s dinner. Dinner was excellent. The restaurant was crowded but service was good. We’ve been there before the food is always good and on point. The noise level is moderate it’s tight seating so you are close to others, you would need to request a quieter area or window seat if reserving. We will be back!